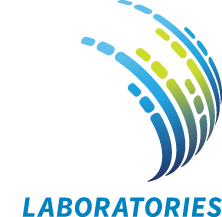 JMI Laboratories (www.jmilabs.com) is a worldwide leader in anti-infectives research, operating as a clinical reference microbiology laboratory supporting new drug development, including clinical trials. JMI Laboratories is uniquely positioned to provide key microbiology services to the pharmaceutical industry. This position is for someone who enjoys splitting their time between sustaining and improving existing infrastructure and defining new development processes and environments. The successful candidate will work well across all levels of management, with strong skills in communicating complex technical decisions and alternatives to a non-technical but highly intelligent audience. As part of the IT team, this position will own the existing infrastructure. The successful candidate will also help define the processes of updating and extending our development platform, our production environment, and the implementation of software engineering disciplines in maintaining both environments. We are a small team of developers and thrive on everyone having a full view of what we’re doing and why. The work we do is integral to the development of new antibacterial and antifungal drugs by our clients to improve the health of patients around the world. At the end of each day you will know that you are helping advance global public health. •	Basic VMWare EXSi administration. JMI Laboratories is based in North Liberty, IA and offers a competitive salary and benefits package, which includes health, dental, vacation, 401(k) and profit sharing. If you want to contribute directly to help the world combat infectious diseases, we encourage you to send your cover letter and resume to hr@jmilabs.com. JMI Laboratories is an equal opportunity employer. No recruiters or agencies please.